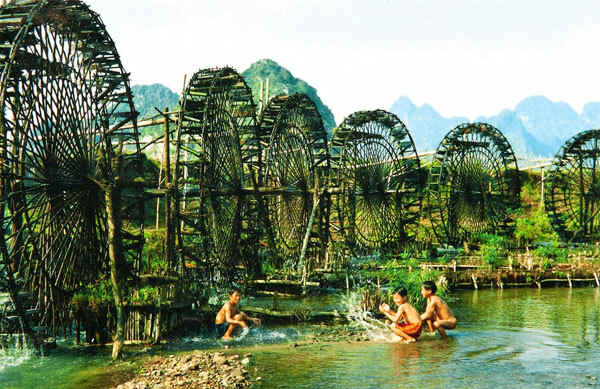 Stretching from Mai Chau to Cuc Phuong National Park, Pu Luong Nature Reserve will attract you by its outstanding beauty and biodiversity along with minorities ethnic’s cultural values. While nature has enriched this land with forest and limestone panoramas, it is the local’s works during thousands of year that has turned the mountain slopes to alluring terrace rice fields. 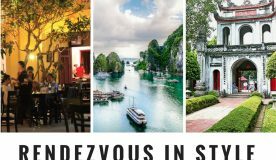 An interesting combination of natural and man-made influence makes this breathtaking scenery become an ideal choice for a short trip from Hanoi. Airport pick up. Overnight at Hanoi Rendezvous hotel. Breakfast at Hanoi Rendezvous hotel. Bus & guide will pick up you at 7:30 then transfer to Mai chau. Lunch in Mai chau then bicycle ride with tour guide see farmers working in fields & visit surrounding. 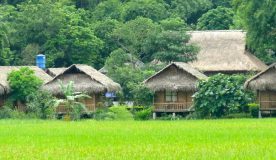 Enjoy dinner & overnight in Mai Chau. Breakfast then Driving to Puluong Nature reserve. Trekking in there to explore a stunning rice terraces. Lunch in the village there then come back to Mai chau by another road. Get on the bus to drive back to Hanoi. Drop off at Hanoi Rendervous hotel. 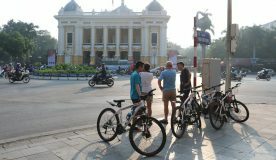 After having breakfast, van & guide will pick up you to Cat ba island (in Lan Ha Bay). Lan Ha Bay, an alternative destination to Halong Bay, that still receives very few visitors. Enjoy kayaking, swimming & relaxing on the junk. Driving back to Hanoi Rendezvous hotel in the afternoon. The package price is US$248 per person.